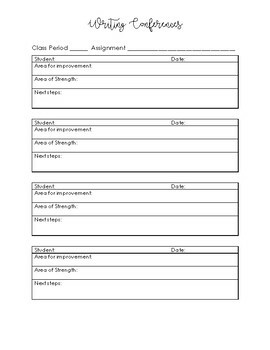 Capture your writing conferences with students in this classroom form. 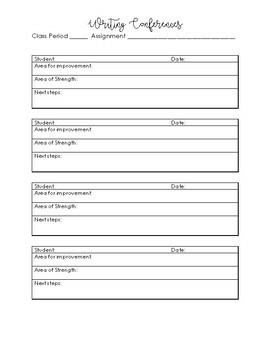 Write down strengths, weaknesses, and next steps. This is a great way to keep track of the conversations that you have with students! Print single sided or make copies to print front to back.